Over at Splitcoast today, a couple of challenges… Queen for the Day featuring Jenna B. and the Free for All – frame it up. My card base is a 5 1/2″ square. Next is my image panel, that’s been colored with Copics and “blinged up” a little with some Stickles. There’s also a little bit of paper piecing on her pants. Isn’t this just the cutest little image? I love the sweet innocence of these cute stamps! My frame is made from one piece of card stock cut with the large circle nestie and one piece of designer paper cut with the lacy circle nestie. 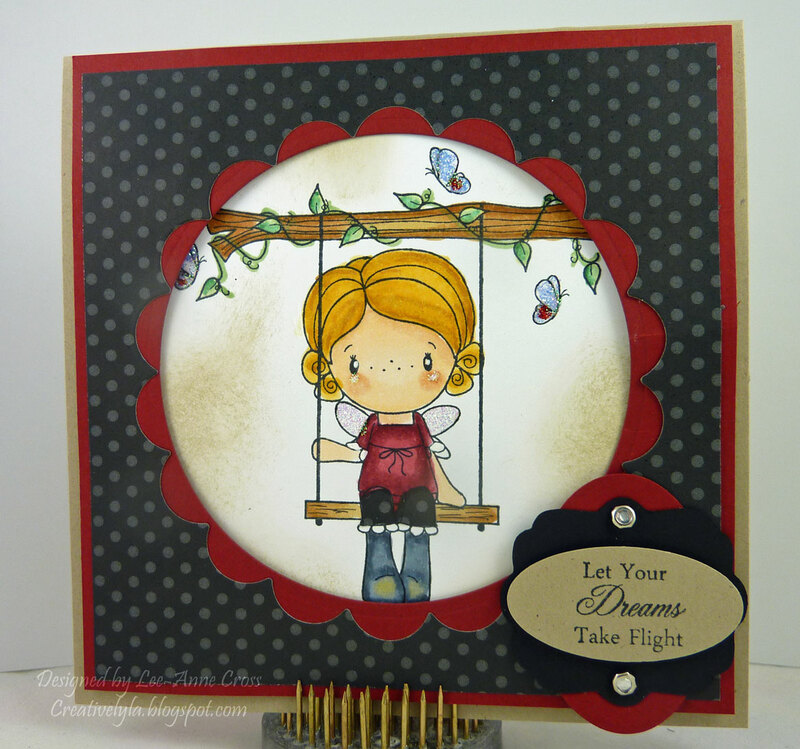 The sentiment consists of a large oval in red, followed by a piece of black card stock cut with a Sizzlet die and topped with a small oval punched piece with the sentiment stamped on it. I’ve used a couple of small crystal brads for a little more bling.